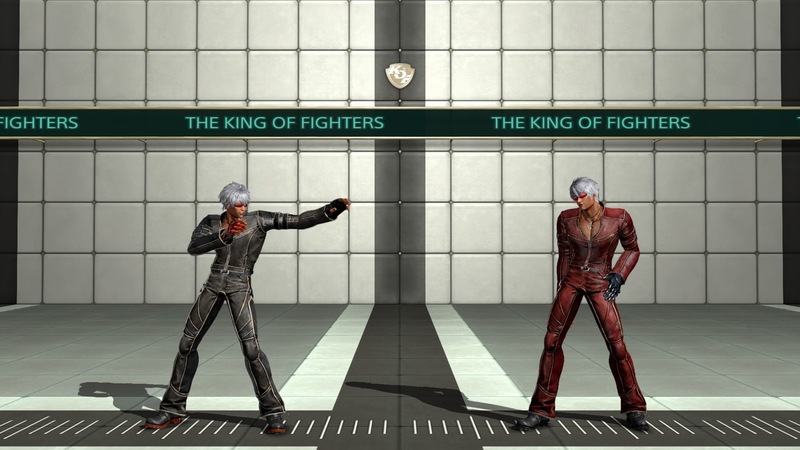 Resource for KOFXIV wiki team to use for K'. Enter in anything you'd like to see put on the K' wiki! Hits high. Whiffs against crouchers. 4F startup. Short active frames. Recovers very fast. -4 on block. Not safe, but difficult to punish. -4 on block. Not safe, but difficult to punish due to pushback. 9F startup. Great hitstun for Max Mode. Slow poke or punisher. St.CD - K' rears back his right foot and swings it hard in an upward roundhouse to the head. This normal has a hitbox all over the striking range when active. This normal has very large amounts of pushback, guard damage, and stun. Aside from st.C, it is K's slowest normal. It covers areas diagonally above K's head, but its very slow speed makes this difficult as an anti-air. This normal causes the opponent to wall splat on hit, allowing for specific follow ups. While slow, it is one of K' only normals that is whiff, special, and super cancel-able. It is not safe on block, but the pushback makes it very difficult to to punish. cl.A - K' thrusts his elbow forward and strikes the opponent in the chin. This normal has a hitbox that hits crouching and standing opponents. The normal is not active for very long, but can be rapid canceled into itself for an auto combo. The pushback is marginal, allowing K' to link his special moves without making them whiff. This normal is staple to K' and his gameplan. This normal is very fast and only slightly negative on block, very useful for blockstrings and punishing at close range. cl.B - K' swings his left leg in a solid kick to the kneecaps. This normal has a hitbox that hits crouching and standing opponents, but can be blocked standing. This normal is not active long, and does not allow for rapid canceling. The normal has a small bit of pushback, but allows for linking normals and specials afterwards. K's close B is positive on block even though it is slower than his cl.C by just a little bit which limits its punishing potential. It is +4 frames on hit, allowing you to link d.A in a combo. On hit, push back is minimal and allows you to do close C and D right after. If used in a meaty or to start pressure, the positive on block attributes make this a very good normal for frametraps. cl.C - K' digs in for a two-hit uppercut to the gut of his opponent. This normal has a hitbox that connects with crouching and standing opponents. This normal is very active and can cover the area in front K' for hops. The normal is not safe on block, but the pushback makes it difficult to punish. Both hits of the st.C are cancel-able, but the second hit pushes back very far. The first hit does not push back at all. The first hit of cl.C is the best time to cancel into command normals or special moves to make it safer. The normal is a little slower than cl.A, but does more damage. It is the standard punisher normal up close. cl.D - K' swings back his leg and swing kicks the opponent at the ankle. This normal has a hitbox that connects with standing or crouching opponents. This normal must be blocked crouching. Cl.D is not safe on block, but has a large amount of pushback. The normal has the most start up of all of K's close normals. On hit or block, the opponent is pushed far away and makes it difficult to land specials like Ein Trigger or command normals. Its main use is starting max mode and maximizing damage. 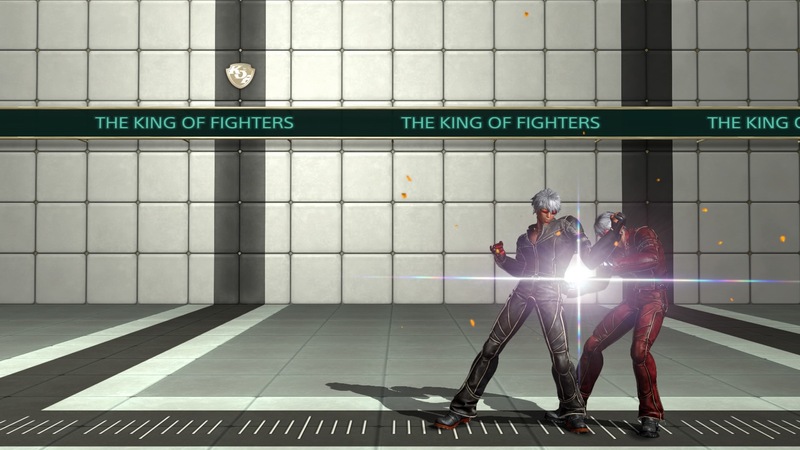 This move hits once which makes it the top close normal for maximum damaging combos. The proximity for cl.D is very close for it to hit. Any light normal on block will push the opponent out of cl.D range, giving out far D. Use to initiate pressure and catch standing opponents off guard. cr.A - K' jabs forward at his opponent while crouching. This normal is fast and can hit opponents that are standing, crouching, and possibly airborne if low enough. 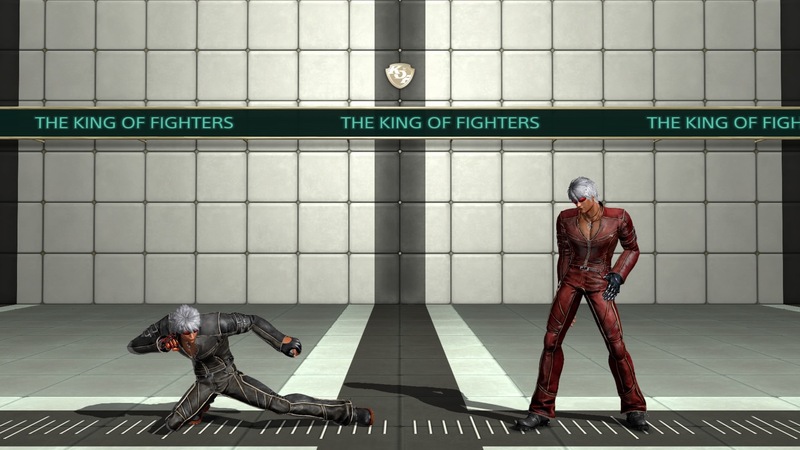 It is K' go to punish normal, being his fastest crouching normal. It does not have a lot of range, but the recovery on whiff is very small so it is difficult to whiff punish. On block, cr.A is positive and rapid cancels into itself, cr.B, and other standing lights, making it useful for hitconfirms or blockstrings. Due to its fast nature, it is often used to "check" opponents in frame traps, but its range makes it difficult to use as a poke. cr.B - K' juts his leg out to strike the opponent's feet while crouching. This normal is K' light normal and a staple for his offense and defense. K' has a hitbox that strikes the opponent while crouching. This whiffs against airborne opponents, but must be blocked crouching. The normal is positive on hit and rapid cancels into itself, cr.A, and other standing lights. It is very useful for confirming into combos and blockstrings. cr.B is a frame slower than cr.A, but has much more range than it with similar properties. 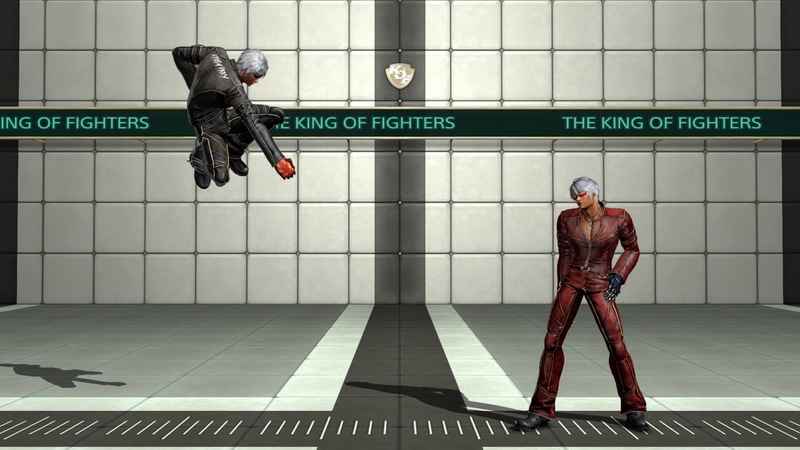 The normal shrinks K's hurtbox, making it useful to punish the landing of an opponent's jump. Deep jump-in normals will still hit K' when using this normal so be wary. cr.B is also whiff cancel able into specials and command normals. Proper use of cr.B will allow K' to anti-air opponents or use its whiff cancel properties to confuse opponents as well as start a solid offense. cr.C - K' strikes with a jutting elbow directly above him from a crouching position. This normal has a hitbox around the elbow and around K's head. This normal has mostly vertical range with very little horizontal range, making it a poor normal for striking an opponent. cr.C is special cancelable on hit or block, but is also very negative on block by itself. The hitbox suggests this normal is preferably used as an anti-air for opponent's coming in from directly above or behind K'. Cr.C is a little slower than other normals at about 6F, but is fast enough to use as a close up anti-air. This heavy normal has a very large amount of recovery, making it ill-advised to whiff with the normal. Use sparingly. 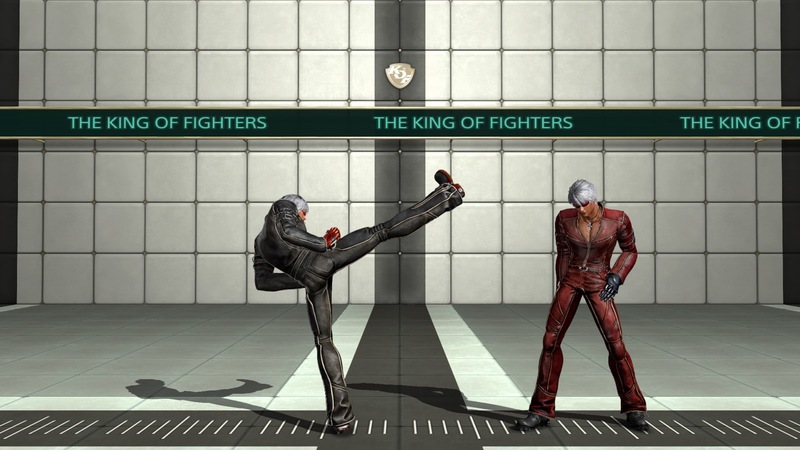 cr.D - K' swings his leg out to sweep his opponents to the ground from a crouching position. 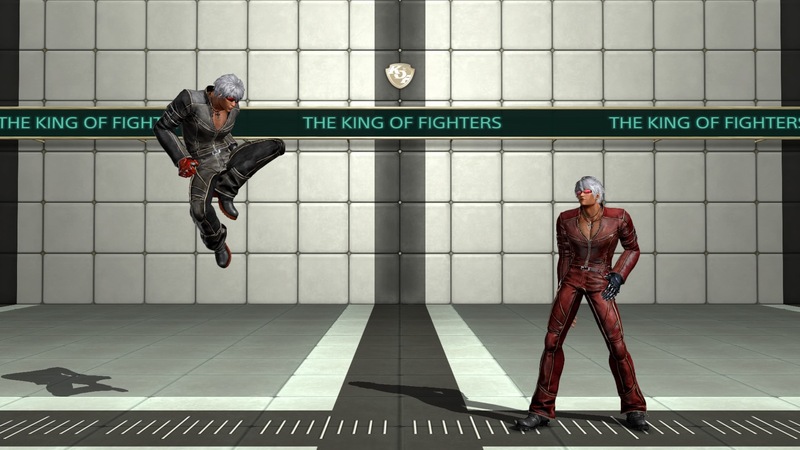 This normal connects with standing and crouching opponents, but whiffs against airborne opponents. The normal has a more horizontal hitbox than cr.B, but is slower at 8 frames startup. Nevertheless, the range makes it so that 3 cr.Bs chained together can be followed up with a sweep. 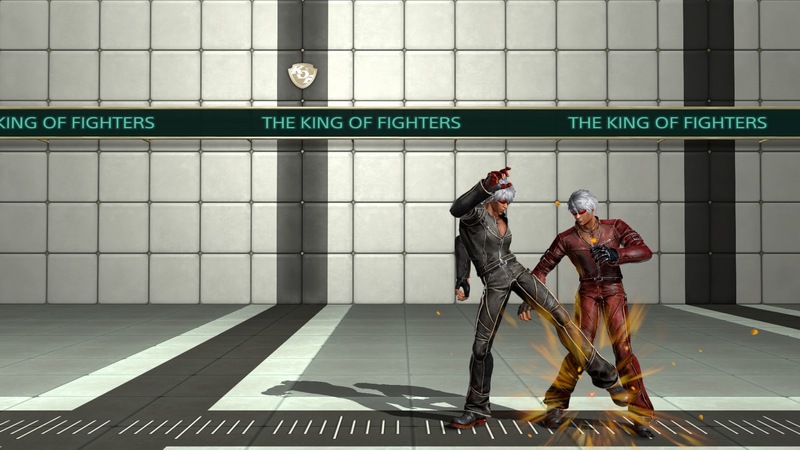 This normal causes a soft knockdown, allowing the opponent to tech upon hitting the floor. The pushback caused by the normal on block pushes the opponent far enough to make it difficult to punish, especially at max range. However, the normal is negative on block and therefore unsafe. His sweep is special cancel-able as well on hit or block. 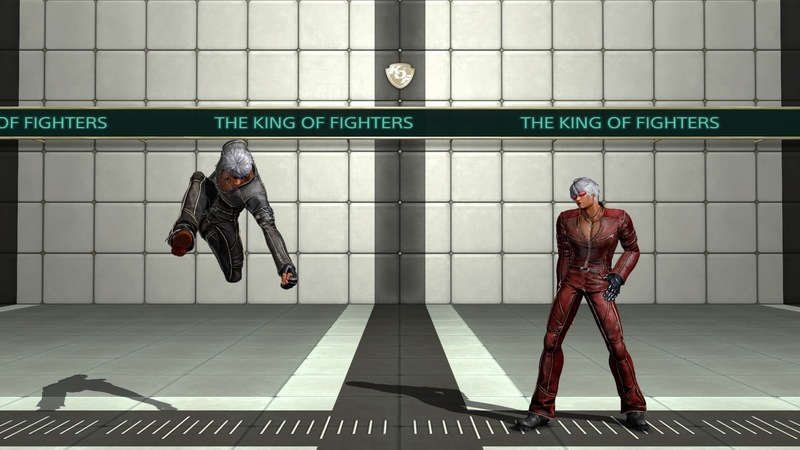 Make use of the sweep to aggressively punish people for standing or pressing too slow of a button. While too slow for a tight frame trap, sweep is an effective way to turn regain the upper hand by scoring a knockdown. j.A - K' thrusts his fist downward in a diagonal punch in the air. 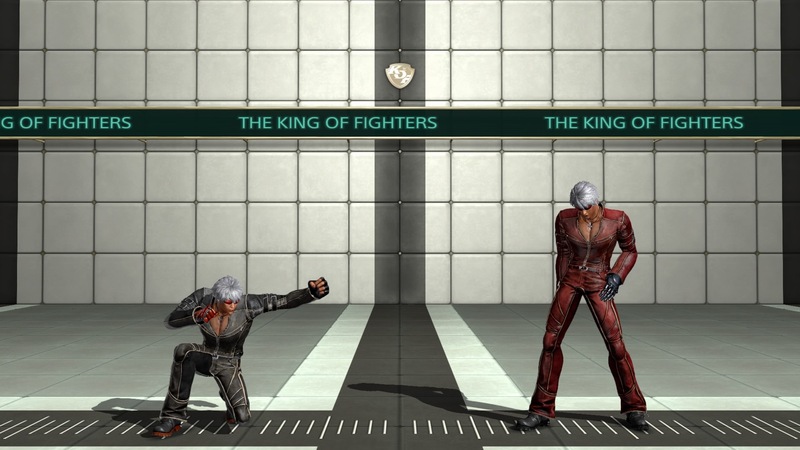 j.A, depending on height, can connect with standing and crouching opponents. The hitbox is around the fist and can cross up on opponents with certain spacing. The normal is below average in speed coming in at 8 frames startup. However, the ability to cross up a crouching opponent is very useful. The normal has good hitstun/blockstun and allows K' to link heavy normals on a successful hit or block. It is marginally faster than j.D or j.C, but a great alternative to make quick aggressive motions in the air. This normal is special cancelable on hit or block. j.B - K' juts out his knee while sailing through the air. 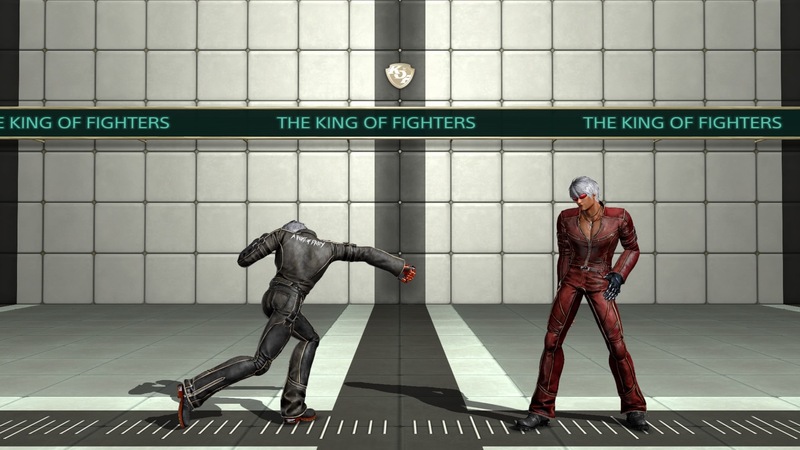 j.B, depending on height, can connect with standing and crouching opponents. The hitbox is around the knee and a little under him, making it a decent air to air. This normal is 4 frames startup and his fastest jumping normal. This normal is useful for continuing hop pressure, jumping straight up to control general space, and jumping backwards to catch opponents. It is so fast that it can be used in an instant overhead! The normal has good hitstun and blockstun, and it is very active. It is very versatile, being useful as a jump in or as an anti-air. This normal is special cancel able on hit or block. j.C - K' slams his fist downwards in an aerial punch while airborne. 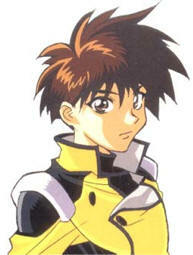 j.C, depending on height, can connect with standing and crouching opponents. The hitbox is about most of the arm and in front of him. 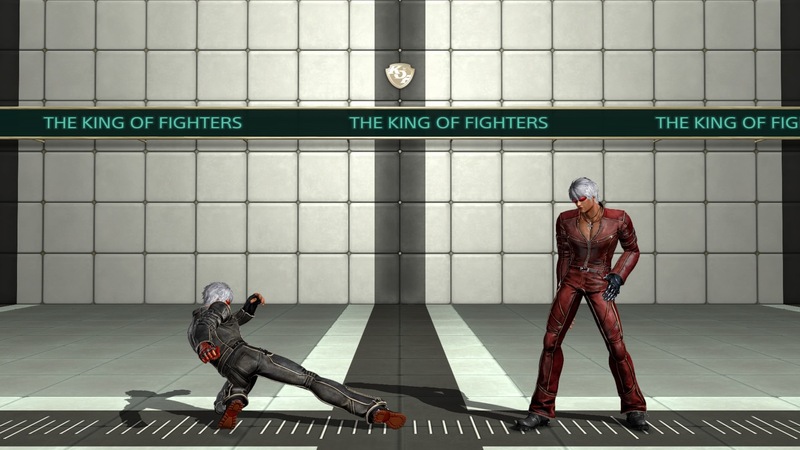 This normal hits a bit deeper than j.A, having a more vertical hitbox. Aside from j.D and j.CD, this normal is relatively slow as jump normals go. However, the blockstun caused by j.C is very high. This normal is a very useful tool for hop pressure as it causes enough blockstun to allow K' to run forward a little. 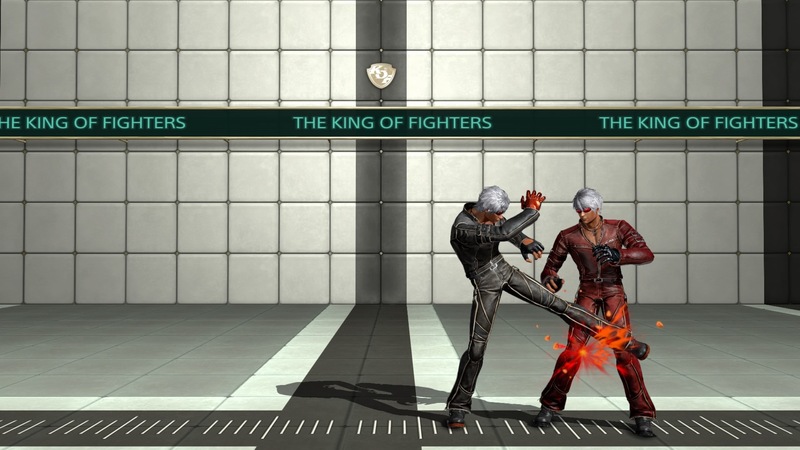 The hitstun is significant as well, allowing K' to link practically any normal on a deep enough hit. As K' approaches the ground, j.C can fake activate, go through the start up animations of the normal, but not become active due to landing. This normal does not have a hitbox behind K', making it whiff on cross up. This can be used to confuse opponents about intentions. This normal is special cancel able on hit or block. j.D - K' swings his leg in arch-like downward kick while airborne. 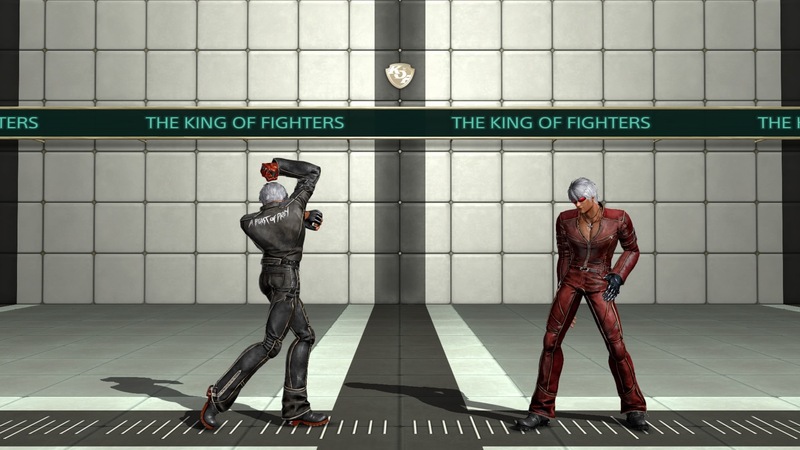 j.D, depending on both height and certain frames, can connect with standing and crouching opponents. 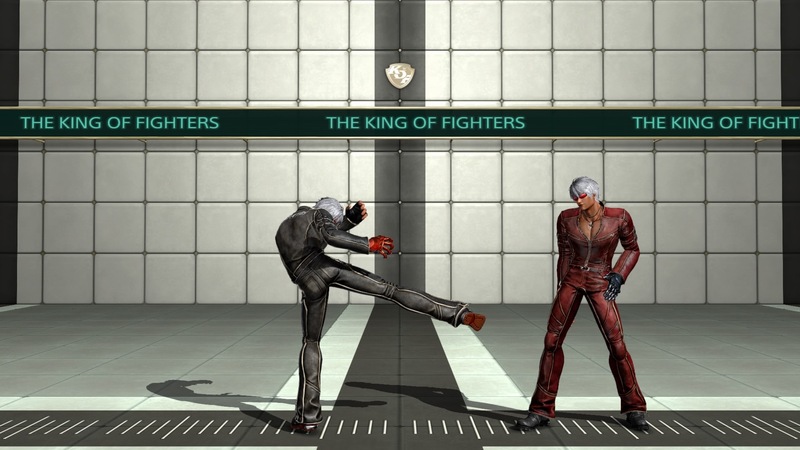 The hitbox starts from the center of the leg and moves with the leg after it fully extends. Although j.D has the same startup as j.C at 10 frames, j.D is active for much longer. As mentioned earlier, pressing j.D early makes the move activate and move the hitbox. This can cause the normal to whiff unnecessarily. Proper timing and spacing, however, can utilize j.D's exceptional range. j.D has one of the longest reaches of any of K's jump normals. j.D can be utilized for poking, air-to-air, or aggression. 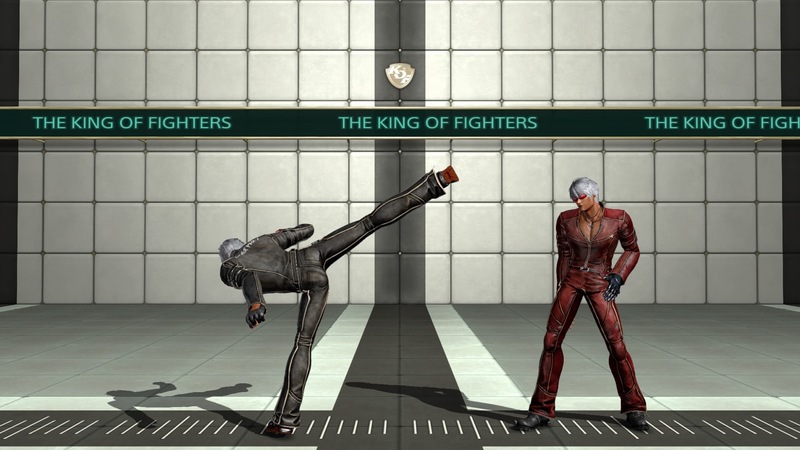 K' does not have a hitbox behind him and will whiff when crossing up an opponent. This normal is special cancel able on hit or block. j.CD - K' juts his leg out in fierce diagonal jump kick while airborne. j.CD, depending on height, can hit crouching or standing opponents. The hitbox is thinly around the leg. This normal can be low-profiled if done too early, allowing the opponent to landing punish. 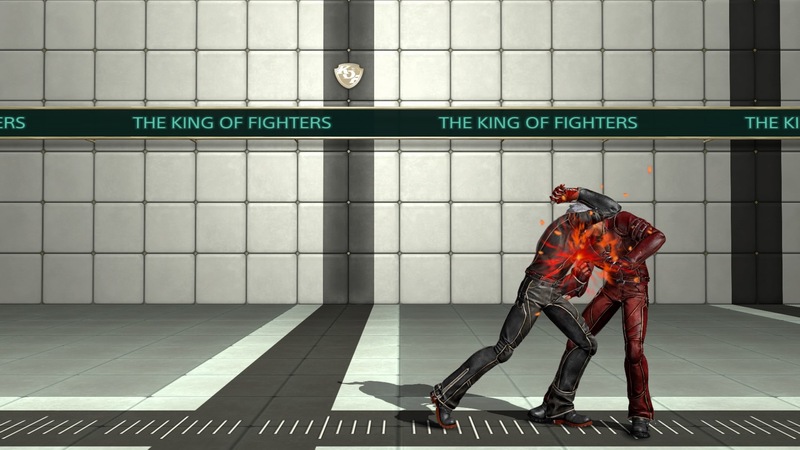 K' causes a significant amount of blockstun when this normal is blocked, but causes a soft knockdown on hit. On counterhit, the opponent is put into a juggle state. 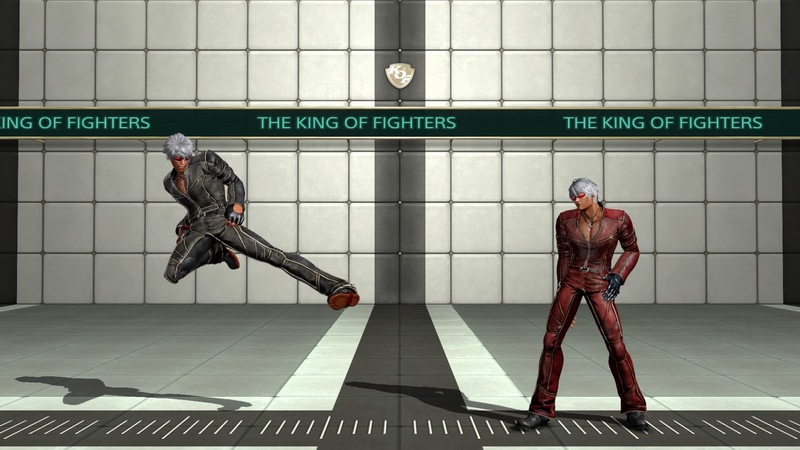 K' has high mobility and can follow up counter hit j.CDs with air minute spike, ground minute spike, a dp, or his heat drive desperation move. j.CD is the same speed as his j.C and j.D, one of the few characters with a CD that fast. It also does a significant amount of guard crush damage. These are great. As far as where to put these images in the wiki, I would just place links instead of embedding them unless we are planning on doing these for EVERY character. Planning on doing it for every character. It would be great to have visualization of the normals and specials. Updated with close normals. If I get some free time, will go over the crouching normals and start off with specials. Updated with crouching and jumping normals. Normal section is complete. Example of changes based on feedback. Reduced amount of text. Removed move description. Added bulletpoint notes for easier segue to different aspects of normal. Yes, that is MUCH better for the wiki. I would leave the more detailed stuff on the forums or even in a guide google doc you can make.